What a captivating tale! From the wonderful characterization to the cleverly crafted plot, A Song Unheard strikes a perfect chord. I loved the suspense and romance of Willa’s and Lukas’ story and the beautiful harmony they created. 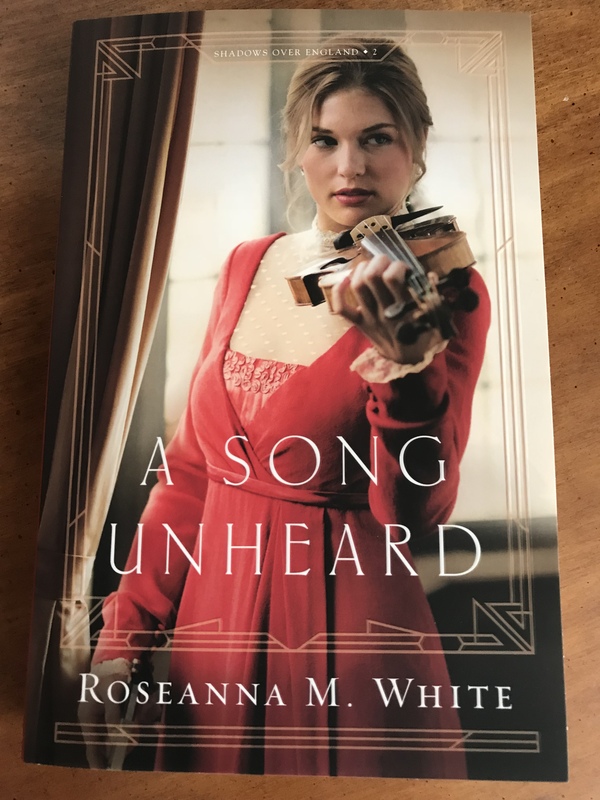 Roseanna M. White has once again penned an engaging and entertaining story that delighted me from beginning to end. 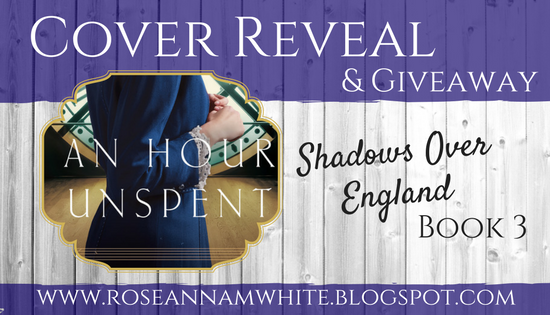 I can’t wait to continue the Shadows Over England series! 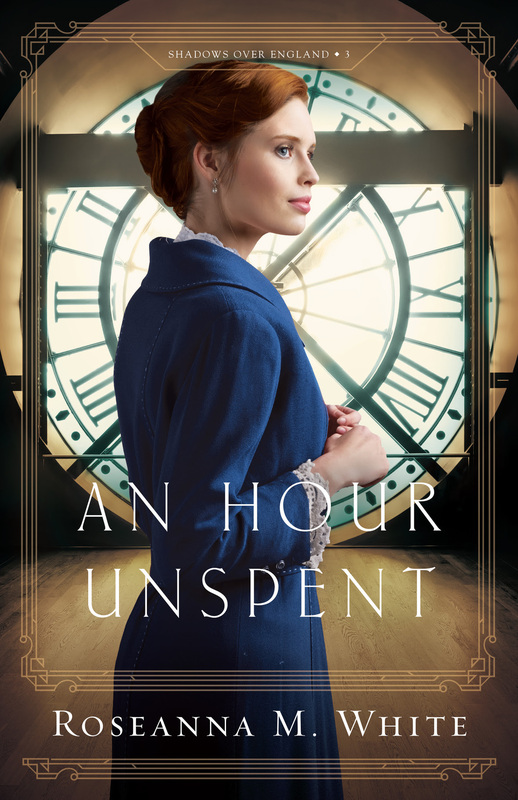 Willa Forsythe is both a violin prodigy and top-notch thief, which make her the perfect choice for a crucial task at the outset of World War I—to steal a cypher from a famous violinist currently in Wales. Lukas De Wilde has enjoyed the life of fame he’s won—until now, when being recognized nearly gets him killed. Everyone wants the key to his father’s work as a cryptologist. And Lukas fears that his mother and sister, who have vanished in the wake of the German invasion of Belgium, will pay the price. The only light he finds is in meeting the intriguing Willa Forsythe. 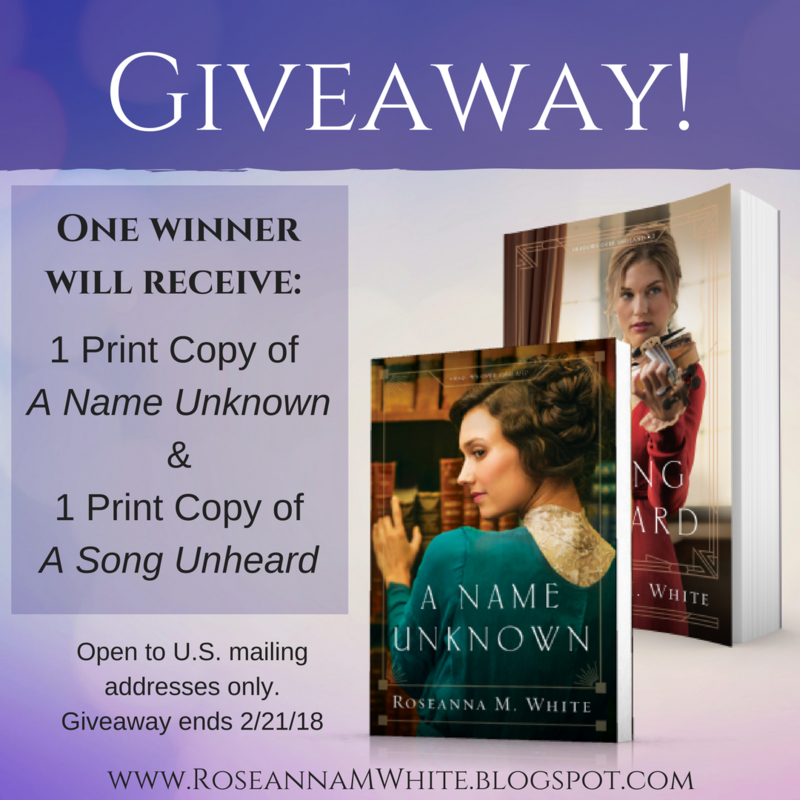 Roseanna White is celebrating her latest release with a giveaway! Enter here! 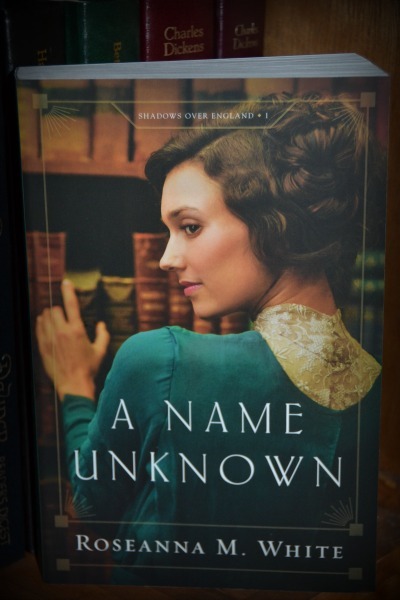 With a mystery to solve and characters to champion, A Name Unknown is a delightful read! Rosemary Gresham and Peter Holstein are refreshingly unique in their characterization, and I loved the humor and wit of the banter they share. A cleverly crafted story line that combines elements of suspense and romance, White treats readers to a wonderful Edwardian experience. Engaging and entertaining, A Name Unknown leaves me eager to continue the Shadows Over England series! Lady Ella Myerston can always find a reason to smile–even if it’s just in hope that tomorrow will be better than today. All her life everyone has tried to protect her from the realities of the world, but Ella knows very well the danger that has haunted her brother and their friend, and she won’t wait for it to strike again. She intends to take action . . . and if that happens to involve an adventurous trip to the Cotswolds, then so much the better. Lord Cayton has already broken two hearts, including that of his first wife, who died before he could convince himself to love her. Now he’s determined to live a better life. But that proves complicated when old friends arrive on the scene and try to threaten him into a life of crime. He does his best to remove the intriguing Lady Ella from danger, but the stubborn girl won’t budge. How else can he redeem himself, though, but by saving her–and his daughter–from those dangerous people who seem ready to destroy them all? Oh, how I have loved the Ladies of the Manor series! While each of the three stories shares a stand-alone romance, continuing themes carry through this captivating series. Capturing the essence of the Edwardian era, Roseanna White breathes life into her characters and settings. Lady Ella Myerston and Lord James Cayton are delightfully charming, and I loved their chemistry and the compelling journey they shared. As their story unfolded, I was thrilled to revisit beloved characters from Books 1 and 2 and enjoyed the parts they played in helping piece together the mystery surrounding the Fire Eyes diamonds. Brimming with intrigue and romance, A Lady Unrivaled is a wonderful culmination of a wonderful series! 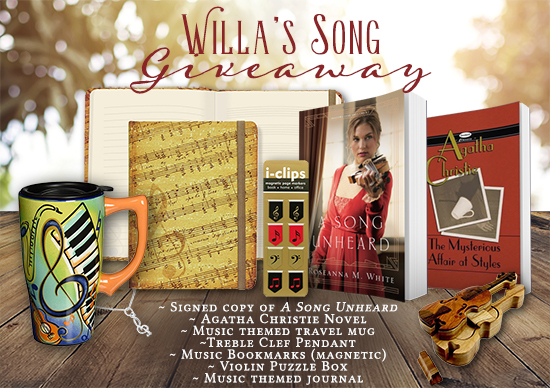 Roseanna is celebrating the Ladies of the Manor series with a grand Manor House Giveaway! Winner’s choice of pattern – because nothing says “English setting” like tea! and get any tea balls she might need for the awesome loose leaf varieties she picks. All thoughts expressed are my own. Lady Rowena Kinnaird may be the heiress to a Highland earldom, but she has never felt good enough—not for her father, not for the man she thought she’d marry, not for God. But after a shocking attack, she’s willing to be forever an outcast if it means escaping Loch Morar and the men who have jeopardized her life. Brice Myerston, the Duke of Nottingham, has suddenly found himself in possession of a rare treasure his enemies are prepared to kill for. While Brice has never been one to shy away from manor-born ladies, the last thing he needs is the distraction of his neighbor, Lady Rowena, who finds herself in a desperate situation. But when the moody Earl of Lochabar tries to trap Brice into marrying Rowena, Brice finds he’s not as opposed to the idea as he expected to be. Rowena wanted to escape the Highlands, but she’s reluctant to resort to marrying a notorious flirt just to gain his English home. And when she learns that Brice is mixed up in some kind of questionable business with a stolen treasure, she ’fears she’s about to end up directly in the path of everything she was trying to avoid. The Reluctant Duchess is an exceptional story! As I opened the beautiful cover, I was quickly swept away and immersed in the drama that unfolded. Evoking imagery and emotion from the first word until the last, Roseanna White captivated me with Rowena and Brice’s journey. 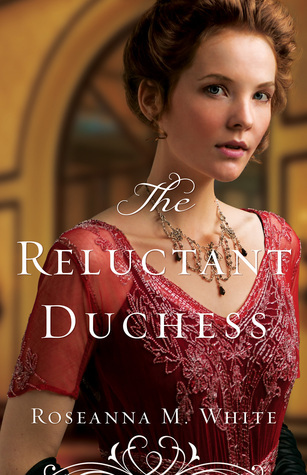 I loved the intrigue and romance of The Reluctant Duchess and highly recommend this novel to historical fiction fans! The Reluctant Duchess is the second book in the Ladies of the Manor series. While there are continuing themes from the first book, the story itself is independent of The Lost Heiress. I loved both of these novels and eagerly await the release of Book 3, A Lady Unrivaled. 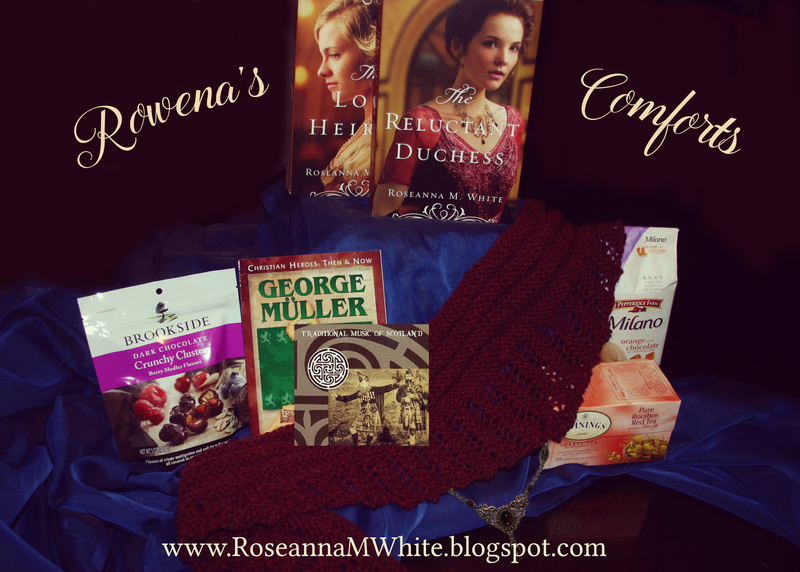 To celebrate the release of The Reluctant Duchess, Roseanna is sharing a few of Rowena’s favorite things! Click here to enter the giveaway! Roseanna M. White pens her novels beneath her Betsy Ross flag, with her Jane Austen action figure watching over her. When not writing fiction, she’s homeschooling her two children, editing and designing, and pretending her house will clean itself. 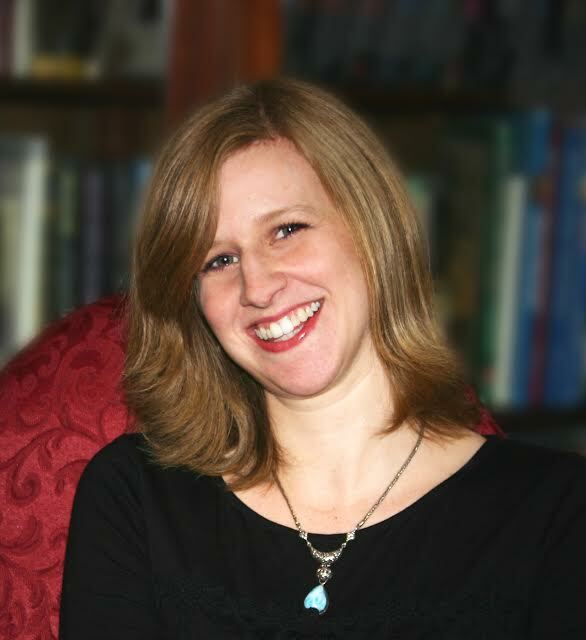 Roseanna has a slew of historical novels available, ranging from biblical fiction to American-set romances to her new British series. She lives with her family in West Virginia. I’m so excited to reveal the cover of the third book in Roseanna M. White’s Ladies of the Manor series, A Lady Unrivaled! I think it’s a beautiful and alluring cover that draws you in and invites you to discover the story inside! The Ladies of the Manor Series take readers back in time to Edwardian England, when automobiles and electric lights were all the rage, but the old way of life still ruling the land. Lords and ladies, maids and valets…and in this case, a dose of danger and mystery to take them all on their journey to love. If you’re a fan of historical romance, you certainly need to add this series to your must read list! 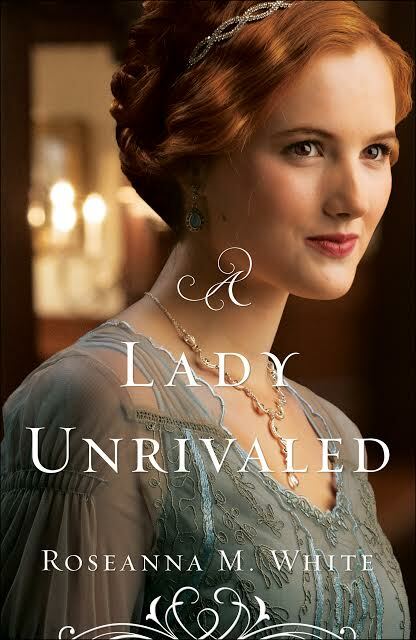 What are you thoughts about the cover of A Lady Unrivaled?